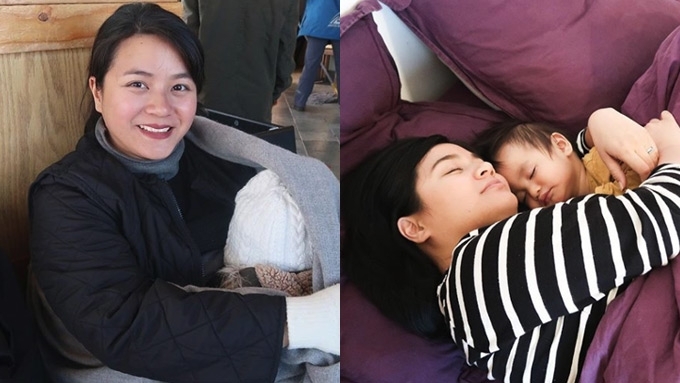 Paula Peralejo's Instagram post about the life of a full-time mother resonates with her fellow stay-at-home moms. Recently, on her Facebook feed, she saw this installation art, which represents the invisible workload of a full-time mother. The former teen actress felt a strong connection. The art featured a woman and a baby, and depicted the daily work that mothers do every day. Saw this on FB last night. If you know the original artist and photographer (and where this is), please comment here so we can credit properly. . So timing with the video I shared on my FB page for stay-at-home mommas! Anyway...such a powerful representation of the weight a mom carries! . Here was my note on stay-at-home moms on my FB page, if you are one: this is for you! To all stay-at-home mommas (or papas)!?? . 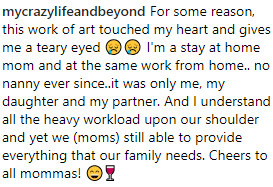 Many people take the work of stay-at-home (or work-at-home moms) for granted, thinking real work means “working at a 9-5 job”. . Many take pride in being “working moms”, when in fact, ALL moms are working moms. Unless you have a nanny and a helper and a wet nurse who does ALL the work for you, girl, you ARE a working mom! . 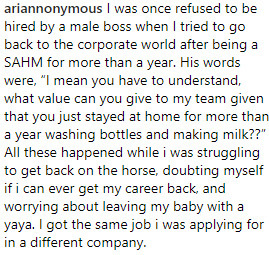 No salary, 24/7 work, and doing things you never would have done pre-baby (like cleaning someone else’s poop), please know there are many people who appreciate what you do — and yes, we know this is also important work. . Just posting this to tell you I’m cheering you on and celebrating you everyday! ???????? Believe it or not, some stay-at-home moms experienced discrimination, too. 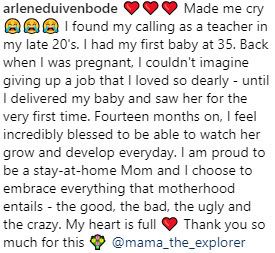 The feeling was perfectly expressed by one stay-at-home mom, “I found my calling as a teacher in my late 20's. I had my first baby at 35.